The article below explains how to add customised fields to Client Profiles to record additional information that is not included in the Client Profile and Health sections. 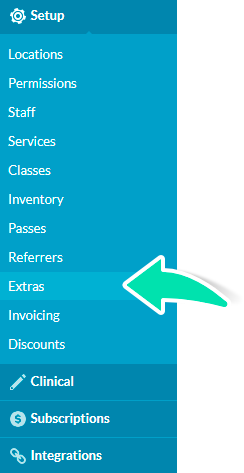 The Extras section will only show up in the Client Profile once customised fields have been added in the Setup page. The Extra fields need to be created before additional information can be added to the Client Profile. 6. Add a Default answer (Optional). 7. Add directions or information to assist with completing the field via Help/Info (Optional). 9. Once you have created the fields, click Save Changes at the bottom right corner. 10. Drag/Drop Extra Fields to rearrange the order by clicking on the blue arrows on the right of the screen. 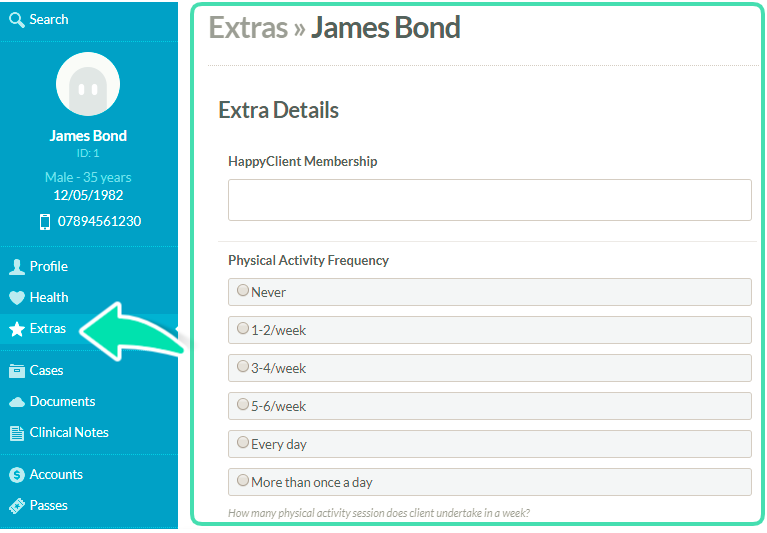 All the Active fields created will be displayed in the Extras section of the Client Profile, ready to be filled.